Online print and design company MOO have released a video featuring four top CEO’s answering the question ‘Which piece of tech can you not live without?’. In today’s technology driven world it would be easy to assume the answer would be a smartphone or a laptop, but the answer is surprising. The short video features Pip Jamieson, Founder and Chief Marketing Officer of The Dots; Dominique Ansel, the inventor of the Cronut ®; Dan Veltri, Co-founder and CPO at Weebly and Lee Mayer Co-founder and CEO at Havenly. The four entrepreneurs reveal their favourite piece of tech – their business cards. The perks include 100% wireless connectivity, never-ending battery life and wallet compatibility. Of course the video is a parody, which is fitting with the recent reveal of the iPhone X, but it proves that the humble business card is still very much an important asset in business. Dan Veltri demonstrates how to ‘share data’ with somebody with a business card by simply handing it to them. 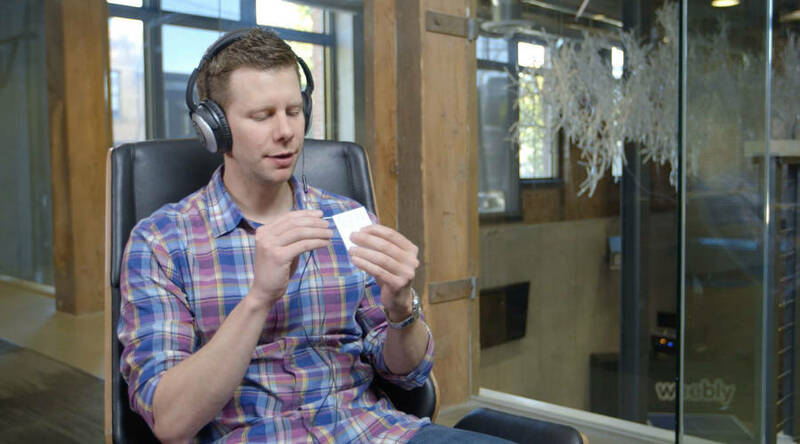 It’s a fun, tongue-in-cheek video from MOO which even references security concerns by suggesting all you have to do to prevent somebody from stealing your data is to shred the card. With so much technology to hand we can get carried away with the latest hardware launch or life changing app, whereas there are times when going back to basics is the most effective technique. For more information on MOO, their business cards and the other services they offer visit their website.